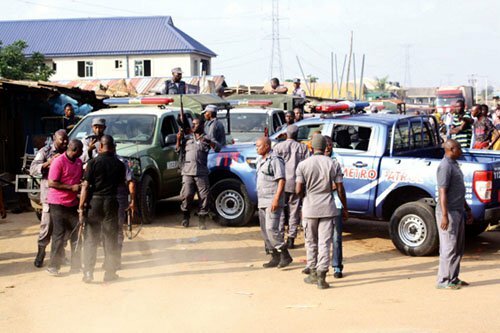 The Nigeria Police in Badagry, said it had arrested seven customs officers over the killing of one Mrs Patience Oni and injuring an innocent man at Forte Oil Filling Station near popular Badagry Roundabout in Lagos state. The Divisional Police Officer (DPO) Badagry Police Station, Mr Samson Akhiromen, told NAN in Badagry that the men of customs were arrested for indiscriminately shooting and killing of innocent people. The DPO said that he arrested the officers with his team of officers when the situation was getting out of hand. He, however, said the arrested officers had been handed over to the SCIID Panti for further investigation and prosecution.